Hi everyone. Not a proper post but just a quick update to fill you in on the last few days. I have been attending the ITiCSE (IT in Computer Science Education) conference here in Uppsala, which has been my primary reason for the visit. Today was the end of three days of presentations and research discussions that went pretty well. While I thought the presentations were a bit patchy, catching up with folks that I will be working with here in Europe over the next few months was great. In particular spending time with Lauri and Paivi from Finland, who I will be spending a month with in September was fantastic. But then of course it should be… it’s over 500 years old! Top of the page is one of the main buildings where the conference was, while just above is the entrance to another building in the centre of town. Not bad huh? 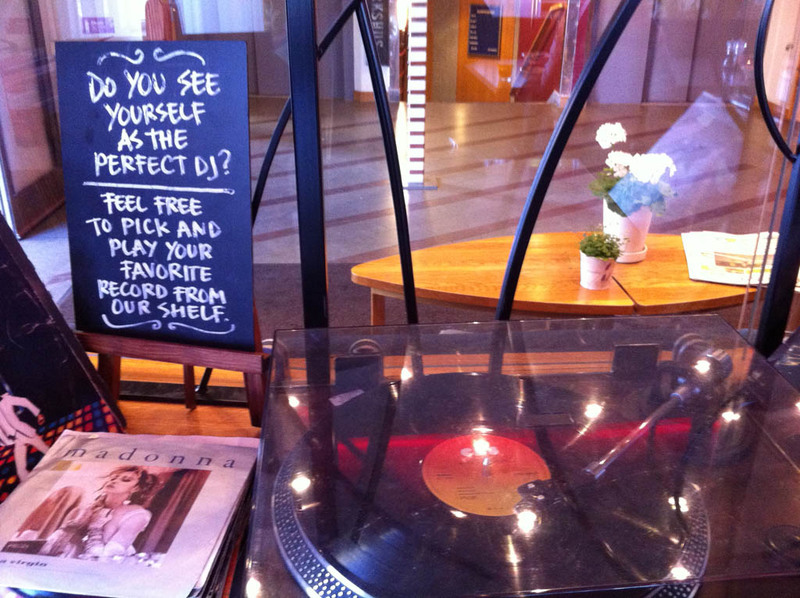 Yep… they have a record player in the main restaurant area. I spun some wax the other morning… chose Born To Run by the Boss. 3. Visit from Street Art royalty? I wonder if Shep Fairey visited or if it is just some random Uppsala kid that placed the Andre the Giant sticker? 4. World Cup at 6pm is AWESOME. No need to say any more, but watching the Australia game at 6pm, rather than 2am, was a beautiful thing. My Socceroos did me proud. That’s it for now. I have one day free before heading to the UK, so might wander back to Stockholm. Updates to follow!